Another from Vincent Le Roy and bred by Haras de Sivola www.harasdesivola.com, he is an imposing four year old who won a competitive 1m.5f Juvenile Bumper at Doncaster. We have been very patient with him and for such a big horse to win a Juvenile Bumper is unusual, particularly as he is AQPS bred and this makes it all the more remarkable to succeed against Flat bred opposition. 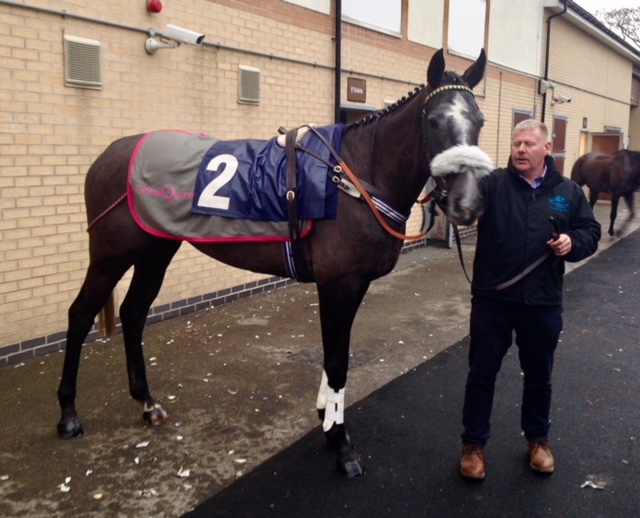 He will run in one more Bumper before embarking on Novice Hurdling and he has schooled well. He has quality and should have a very promising future. By Noroit, a top class German bred stallion by Monsun who stands at Vichy and is owned by the well-known Trapenard family. The Dam Wild Rose Bloom has produced Attila de Sivola who has won six times in France and been placed in Grade 1 Hurdles and Chases and Cirano de Sivola who won a Bumper at Warwick and is highly regarded.